Prolonged rhinitis is often caused irritation of the skin under the nose. The blame for this as the selection, enter the skin, and continuous friction - wiping nose with a tissue or napkins, you injure the skin, causing redness, swelling, and pain. Without treatment on the affected the ground can cause cracks, which can easily become infected. If irritation has already appeared, to take action as soon as possible to avoid secondary infection. To relieve the pain and redness will help anti-inflammatory creams, you can use products with herbal components such as sea buckthorn oil or aloe Vera. You can also use an ordinary children's cream, but because of the content of menthol and eucalyptus oil when applied it can cause discomfort, tingling or burning, especially if the skin is badly damaged. Well help to relieve irritation light moisturizing creams, sesame, almond or peach oil and apply them on the affected skin in a thin layer as needed, trying not to RUB. Any rubbing will only increase inflammation, so try to touch the painful places as possible. The repair of cracks, removal of peeling, a special wound-healing agent, for example, ointments and creams with panthenol – they stimulate tissue regeneration. If the inflammatory process has not been stopped in time, the skin of the nose there were cracks, redness spread to the upper lip, it is better to consult a dermatologist. The resulting crust is not a rip off – in the extreme case, gently separate them, pre-lubricated with vaseline or cream, and then apply to the skin with healing tools. 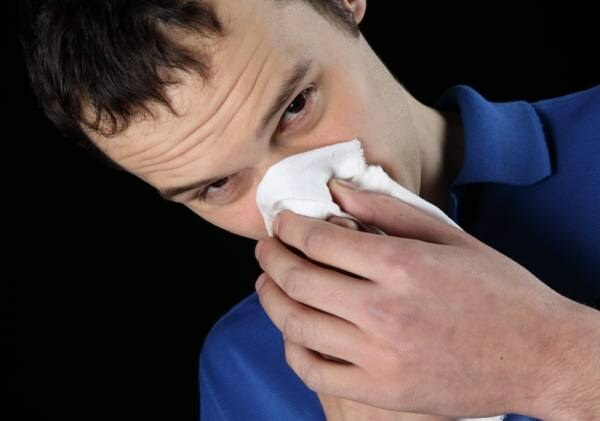 If you have had a heavy cold, runny nose irritate the skin, try not to RUB them, and gently wipe. Do not use handkerchiefs made of fabric – better stock up on paper napkins or handkerchiefs, preferably of soft, not saturated with flavors of paper. You can also use wet wipes with lotion or cream. Textile handkerchiefs, if you do use, choose from soft material and often change. If you often blow your nose and wipe the nose, on the skin near the nose, you can apply any fat cream or petroleum jelly – it protects skin from excessive friction. Try to moisturize inhaled air, do not forget to use saline sprays and drops, moisturizing the nasal mucosa, the drying of membranes can lead to an increase in the number of irritating secretions. It is important to distinguish usual irritation under the nose that occurs when cold, from the first manifestations of herpes – herpes, the skin not only turns red, it appears fine bubbles, causing itching or tingling. Cure herpes with anti-inflammatory creams cannot – you need special antiviral ointment, and the effect of them is visible, if you apply in the first hours after the onset of rash. Redness and peeling under my nose causes a lot of anxiety. Makeup can't deal with unkempt red, the nose itches. Why problems occur and how to deal with them? The most common and "safe" the reason for the aggravation of rhinitis or inflammation of the mucous membranes of the nose, forcing frequent use of napkins or a handkerchief, which irritate the delicate skin. Another reason may be improper for a cleanser which dry the skin. A strong wind or frost can also cause such peeling. In any of these cases, it is sufficient to use moisturizing and nourishing creams. The nutrient is preferably applied for forty minutes before leaving the house, and moisturizing before going to sleep. Of course, you must eliminate the source of irritation of the skin (to treat runny nose, change a facial wash, wrapped in a scarf on the street in a strong wind). In some cases, cause irritation in the nose may be allergic, also characterized by the burning sensation and redness of the eyes. If the cause is allergic reaction, contact a specialist. He will prescribe the right medication will help to pick a multivitamin complex. It is not necessary to run Allergy, without proper treatment it can become chronic, then the redness under the nose would be much more difficult to clean, besides, it is not the biggest problem in a number of other symptoms. Unfortunately, there are more serious causes inflammation and redness in the nose area. In this case, can only help a good dermatologist, and the treatment have to spend a lot of money, time and effort. 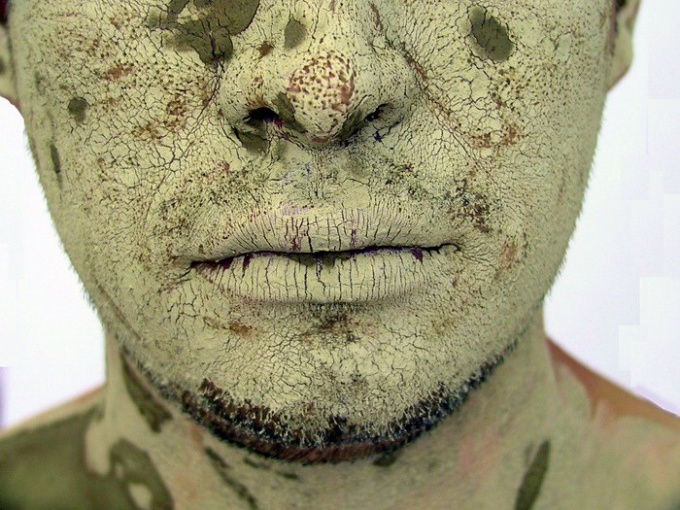 Like redness and peeling of the skin under the nose can be caused by demodicosis. This nasty disease causes skin Demodex mite which is normally present under the skin of ninety-seven percent of all people, but not all aktiviziruyutsya. Demodectic mange most often occurs during a hormonal meltdown in puberty, pregnancy, after serious illness or major stress, that is, in periods when defenses are depleted. Demodectic mange is difficult to diagnose because the mites can hide in the deep layers of the skin, does not manifesting itself during the collection of tests. Unfortunately, the treatment of demodicosis may be delayed. Often, a full recovery takes a year. Treatment consists of reception of antibiotics, the recovery properties of the skin, General immunity, repairing the metabolism. Redness and peeling will begin to fade only after a few months of continuous use is necessary drugs. Regardless of the reasons for the peeling, you can try to alleviate the most basic. First, it is not necessary to scrub away flakes nails, better promacot area of peeling wet disc, carefully remove atmaksa scales, then be sure to coat the affected area with a moisturizing cream. Second, it makes sense to reconsider your diet. It is desirable to eliminate obvious allergens (chocolate, honey, salt and hot spices). Thirdly, you should avoid direct sunlight, because they can increase inflammation.